Dynamic legal professionals required to join the Bay of Plenty’s leading law firm. When you have the best people in your team, it’s only natural to attract the best clients, and the opportunities that come with them.  This of course has led to unprecedented growth, and puts Cooney Lees Morgan in the exciting position of being able to onboard a number of new legal professionals. We know our type of people aren’t easy to ﬁnd, but know you’re out there and contemplating your work/life balance wondering if there’s a better way. Our staﬀ and partners will tell you categorically that there is. Cooney Lees Morgan’s relocation packages may include ﬁnancial assistance and help with all the little details down to choosing the right daycare and the best area to live. We’ve got lots of staff who’ve relocated nationally and internationally to join us so there’s plenty of helpful advice we can share. Register here to receive job updates. It's 100% confidential and ensures you're kept up to date with new positions as soon as they become available. My connection to Cooney Lees Morgan goes back to my first job fresh out of law school. I had returned to the Bay of Plenty at the height of the recession and figured my best approach was to ‘hit the streets.’ I knocked on the door, begged for a job and was lucky enough to spend the next two years learning the ropes as a junior solicitor. When I was approached by a large Auckland firm a couple of years later I made the decision to progress my career in the ‘big smoke.’ This led to two years in Auckland and two in Sydney before deciding to return home. At this stage there was really only one option in my mind and thankfully Cooney Lees Morgan were happy to take me back. The thing I’ve always liked about Cooney’s is the people, and ultimately this is what drew me back. The team feels like one big family and everyone gets on extremely well with many of the staff having been here for 10-plus years. Over the years quite a few people (me included) have left for various reasons but we all seem to come back whether we’re re-entering the workforce or moving back to the area. The work itself is always very interesting and I put this down to the fantastic client base we have. Our clients are all great to work with and we have a lot of fun along the way. My area of expertise is in the property and development area of the law and I particularly enjoy working with clients when they are taking on something they’ve not done before. It’s very rewarding and I get a great sense of satisfaction from my work. Of course there were many other perks to coming back to the Bay – the ease of traffic, the close proximity between home and work and the generally great vibe that is around the Bay. I also enjoy having close access to the great outdoors as I’m keen on fishing, hunting, mountain biking, snowboarding... the list goes on!